In this interview we were very pleased to welcome our special guests, Trev Weeden and Kristy Alger. Trev has been an active member in the animal movement since becoming vegan in 2016. Co-organiser for the March to Close All Slaughterhouses since 2017, and co-organiser for both the World Day for the End of Speciesism march in 2017 and the Dominion March in 2018, he also helped organise Be Fair Be Vegan events in 2018. 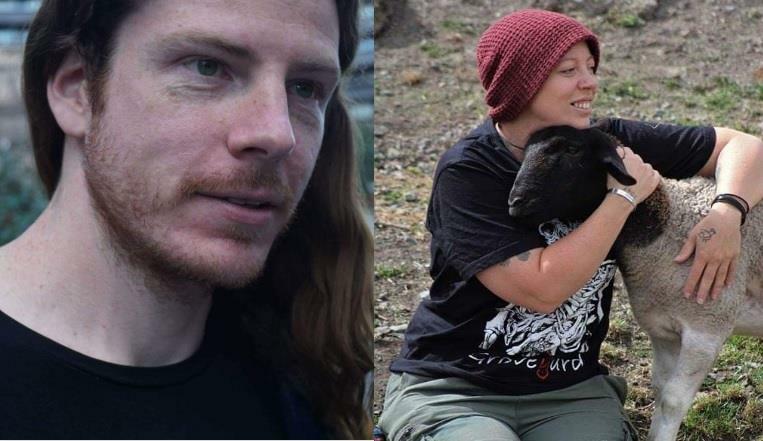 Trev has also been a volunteer and employee of Animal Liberation Victoria. He’s recently helped form the new Collectively Free Melbourne Chapter - an activist community working for animal liberation, human liberation, and earth liberation. Kristy is an animal liberation activist living in Tasmania. She is a co-founder of Tasmanian Animal Save, and was elected current President of Animal Liberation Tasmania in October 2018. Both organisations are active within the Tasmanian and interstate animal advocacy communities. Her approach to animal activism is informed by a strong commitment to feminism and the ideals of consistent anti-oppression. Ultimately Kristy is focused on dismantling systems that actively oppress all beings, human and other than human, whilst seeking out alternatives for a future that is inclusive and supportive for all. Trev and Kristy joined us to speak about the Melbourne March to Close all Slaughterhouses, which they are helping to organise as well as their ideas about advocacy and or in general.